Providing the Cincinnati area with professional, fast and eco-friendly junk removal services. Out of sight, out of mind applies to putting stuff into a storage unit. But that doesn’t mean it has to be out of reach. A storage unit is meant for easy access and that starts with proximity to your home. It should be a burden to drive to your storage unit. Storage units are a lot like your garage. In other words, they’re not always going to be climate controlled and they could be susceptible to the elements. That might not impact what you’re packing inside but it could make a difference if your store some valuables. Many storage facilities offer climate control units. This means that your storage unit won’t overheat in the summer or freeze in the winter. 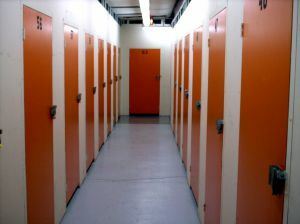 Security at your chosen storage unit facility needs to be of a high standard. Some of these facilities are open 24 hours. Just because they’re open 24 hours doesn’t mean anyone can get access. How easy would it be to get into your storage unit facility? Is there security in the form of video monitoring? Are those video systems up to date? These are all things you need to look into when shopping for a storage unit facility. Locks are often the responsibility of the renter of a storage unit. The most common is a padlock or combination lock. Unfortunately, those can be cut with bolt cutters. The most secure storage unit has locks without a hasp or a keypad entry system. No matter which storage unit facility you land on you want to make sure you aren’t wasting space. That means don’t pack up any clutter. Junk King Cincinnati can help get rid of the clutter you want to toss out. After you sort through all the things you want to put into storage unit bring in the team from Junk King Cincinnati take away what has been left over. Working with Junk King Cincinnati keeps you from packing up junk in your storage unit rental. This entry was posted in Cincinnati Junk Removal and tagged clutter, Junk King Cincinnati, junk removal, rubbish, storage unit on July 31, 2017 by Junk King. Last updated August 15, 2017 .